So you are in Delhi and craving for some delicious, hot, spicy, lip smacking street food? No matter if you are a local or a foreigner visiting Delhi for the first time, Delhi is all set to hit your taste buds with some of the most amazing deliciousness always. From the famous Paranthe Wali Gali to Lajpat Nagar, from world famous dining places to less explored food places, Delhi welcomes you all gastronomers out there. As the day changes its colours, the food in Delhi too changes its taste with the time. People are always hunting famous street food places in Delhi. These days several restaurants are offering street foods, where you can sit in air conditioned rooms, and eat, but I guess street foods are best enjoyed in streets only. So, today we will talk about some of the famous street foods places in Delhi. 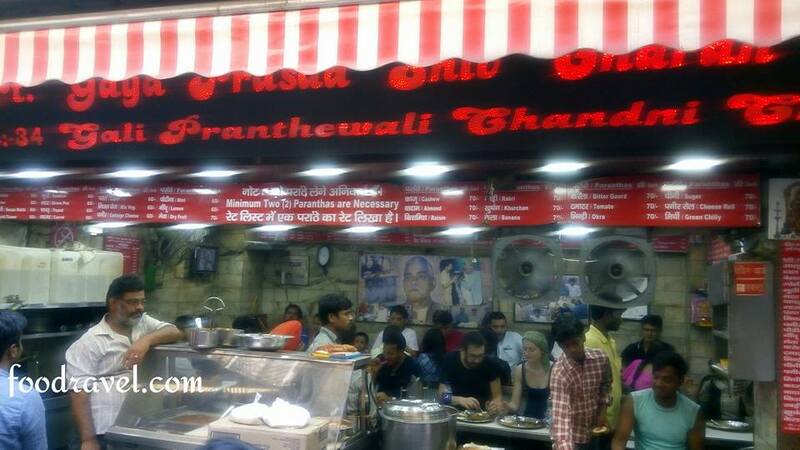 Paranthe Wali Gali, Chandani Chowk: This place tops the list of famous street food places in Delhi. Situated in Chandani Choowk, this place attracts parantha lovers. As the name suggests, this place offers a wide range of Indian parantha with subji and Among one of the oldest street food places in Delhi, this place is always crowded. There are several shops in narrow street. You can also visit other food places there such as Karim’s, Natraj Dahi Bhalle, Dogra Snacks, Kachori Wala etc. which are also famous for their unique delicacies. How to Reach: Get down at Chandani Chowk Metro Station, then either walk or take an auto riksha to reach there. Famous parantha shops are Pandit Babu Raam Devi Dayal (1886), Pandit Kanhaiya Lal & Durga Prasad (1875) and Pandit Gaya Prasad Shiv Charan (1872). Dilli Haat: Famous for popular shopping places in Delhi, Dilli Haat has now been listed in famous street food places in Delhi. Dilli Haat offers you a wide range of Indian cuisines, from almost every part of the country. From Rajashtani thali to Hyderabadi Biryani, from Kashmir to Manipur, Dilli Haat has got so many things to be explored and to be tasted. This place also hosts several cultural events and festivals. How to Reach: One can reach Dilli Haat by public transport. The closest metro station to Dilli Haat is INA. Delhi has two Dilli Haat, one is situated at INA, Aurbindo Marg while the other is situated at Pitampura near TV Tower. Lajpat Nagar: Famous for being a leading computer market in Delhi, Lajpat Nagar (Central Market) has some of the most awesome street food tastes which you can’t forget. Be it Indian, Chinese or South Indian, this place offers everything. One can enjoy street food standing in open or can visit a restaurant. The market remains closed on Mondays. Chinese chat, Dahi Bhalle, Kadi Chawal, Pav Bhaji etc. are must try dishes in Lajpat Nagar Markets. How to Reach: One can easily reach there by metro. The nearest metro station is Lajpat Nagar itself. 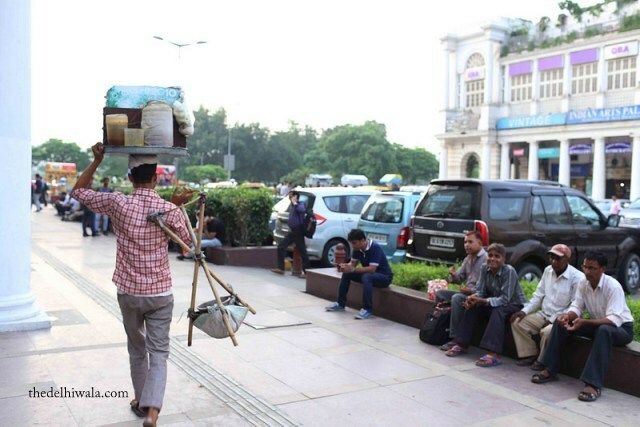 Connaught Place/CP: CP is a famous market in New Delhi, famous for both food and shopping. There are several hotels, restaurants and night clubs and if you are a foodie, this is the place where you must visit. Open till late night, this place has got everything to offer you from local to international cuisines, depending on how much you can spend. This place is always all crowded by shoppers; people come here from morning to midnight. CP is among country’s largest commercial, financial and business centres. The place is well planned, white buildings divided in several blocks. This place is a must visit if you are looking for famous street food places in Delhi. How to Reach: The nearest metro station is Rajiv Chowk Metro Station. New Friends Colony: One of the posh colonies in Delhi, NFC is also famous for its food joints. The colony is divided in 4 blocks i.e., A, B, C and D and block D is the community centre and the main market. There are many street food joints and one five star hotel, The Suryaa. The most famous food joint here is Al Bake which offers delicious shawarmas. Other places are Pebble Street, The Yum Yum Tree, Nathu’s Sweets etc. How to Reach: One can get down at Nehru Place metro station and can take an auto to NFC. 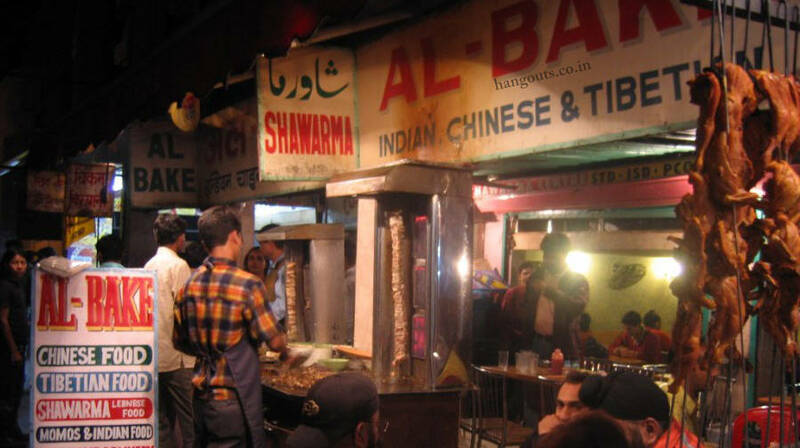 Kamla Nagar: Close to Delhi University’s North Campus, Kamla Nagar is among famous street food places in Delhi. 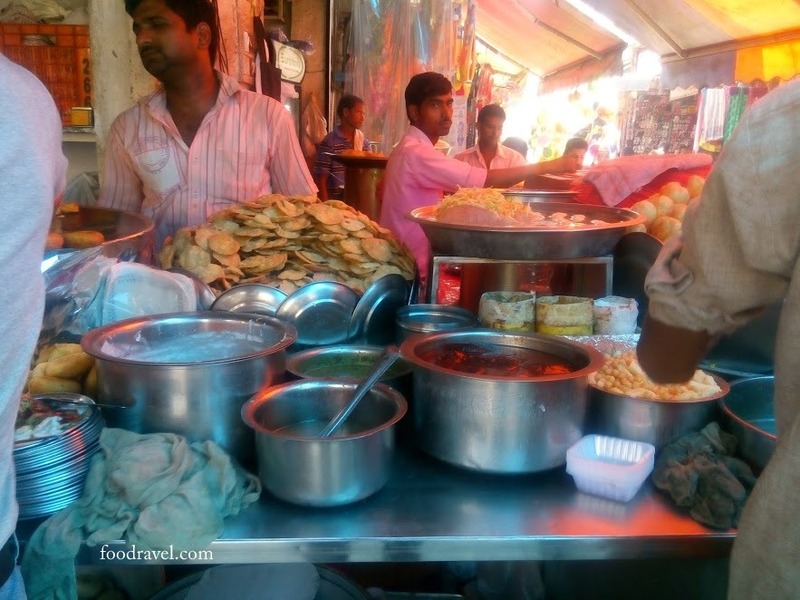 A shopper’s place, mainly crowded by students, Kamla Nagar has some very interesting fast food and street food joints which offer you lip smacking dishes, the taste of which you can’t forget. Some of the recommended places are Chache Di Hatti, where you can have Chole Bhature; Vaishno Chaat Bhandar is famous for its Bhalle Papdi, Aloo Chaat, Aloo Tokri, Gol Gappe and Samosa (mouth-watering). Momo’s Point, Bille Di Hatti, Raaga Café etc. are worth exploring. How to Reach: The nearest metro station is Vishv Vidyalaya Metro Station on Yellow Line; from there one can take an auto. Hope that you have already got your mouth watered, however the list of famous street food places in Delhi doesn’t stop here. 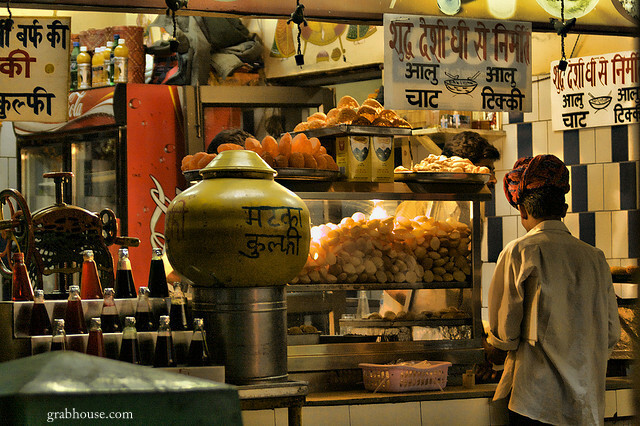 We will be updating and will be sharing another list of famous street food places in Delhi. Till then, enjoy. Bon Appetit! ← Is it safe to wrap food in newspaper?